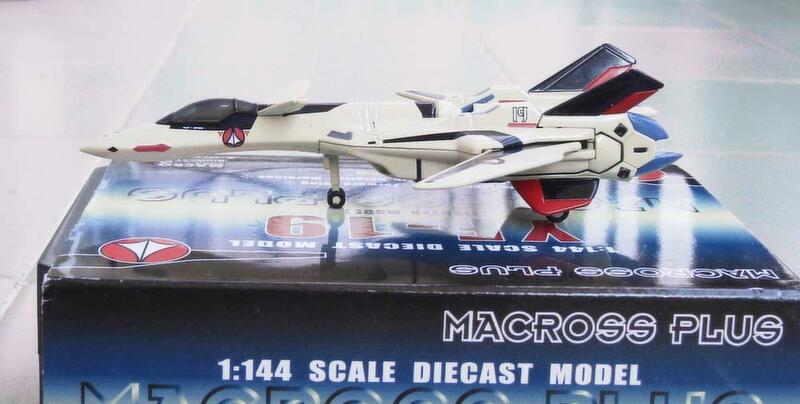 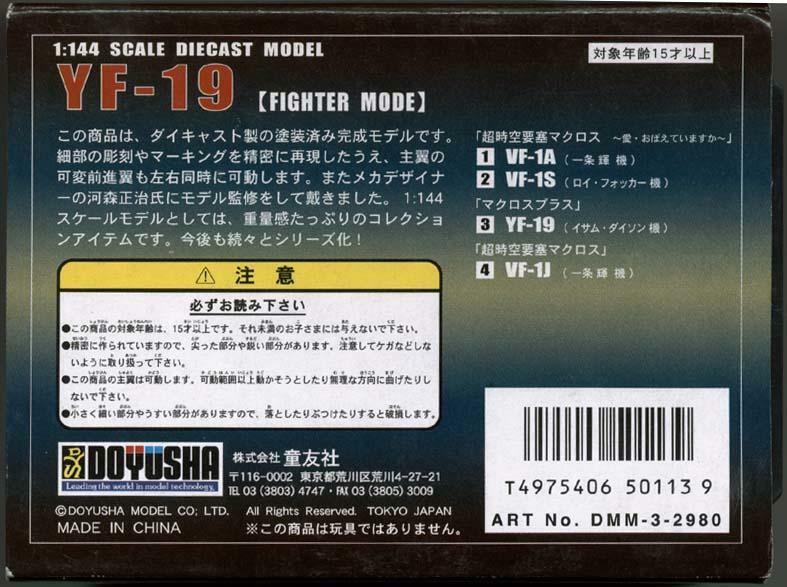 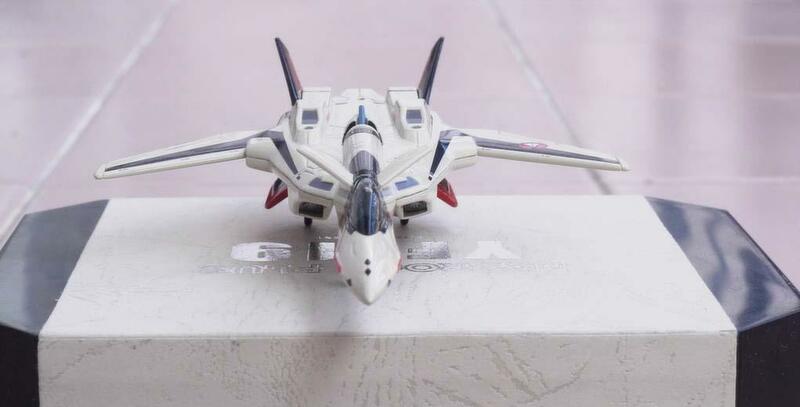 Doyusha's YF-19, the third entry in their Macross 'Desktop Museum' series of die-cast non-transforming 1/144 fighter toys has just been released. 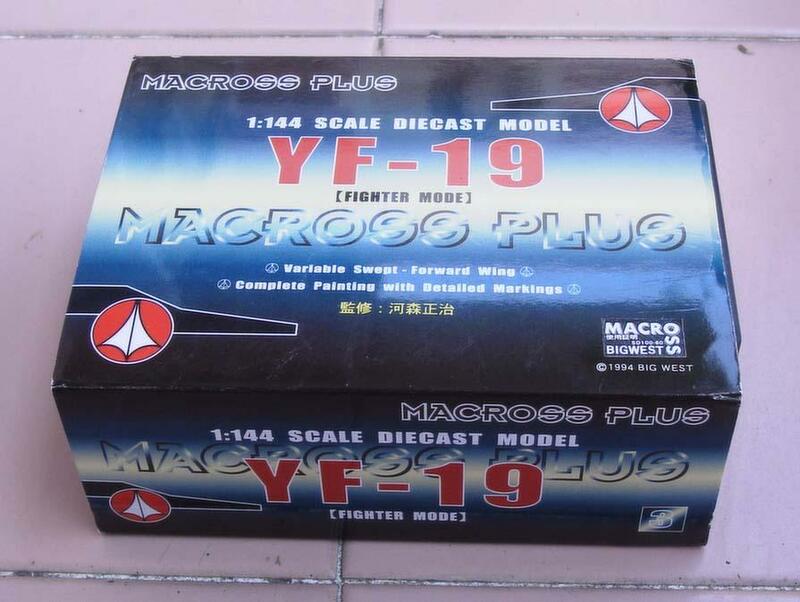 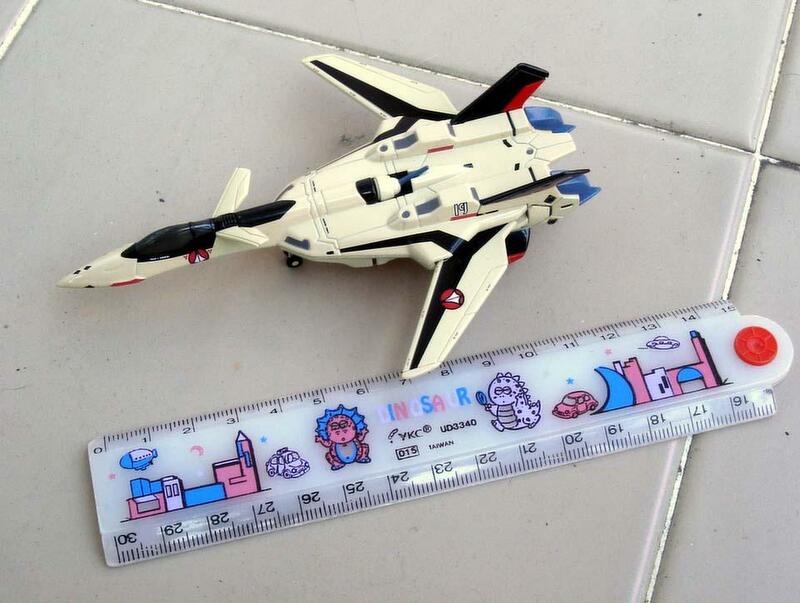 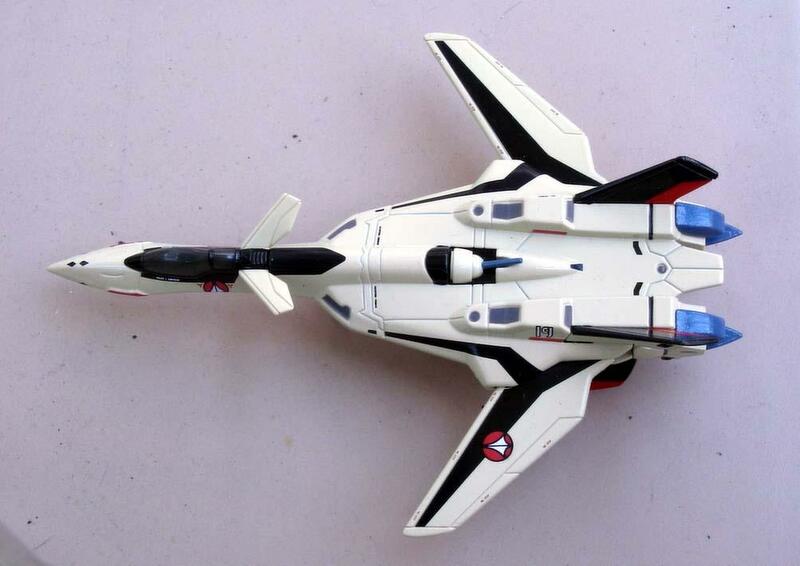 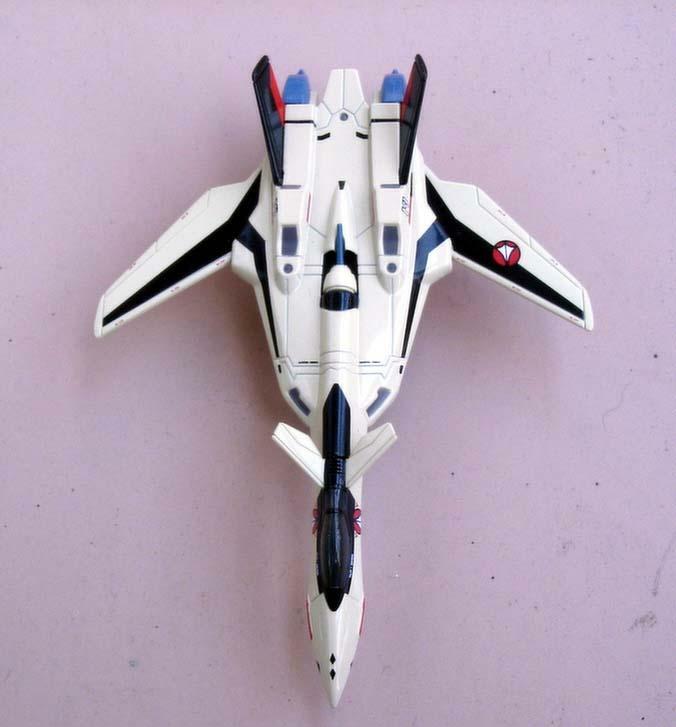 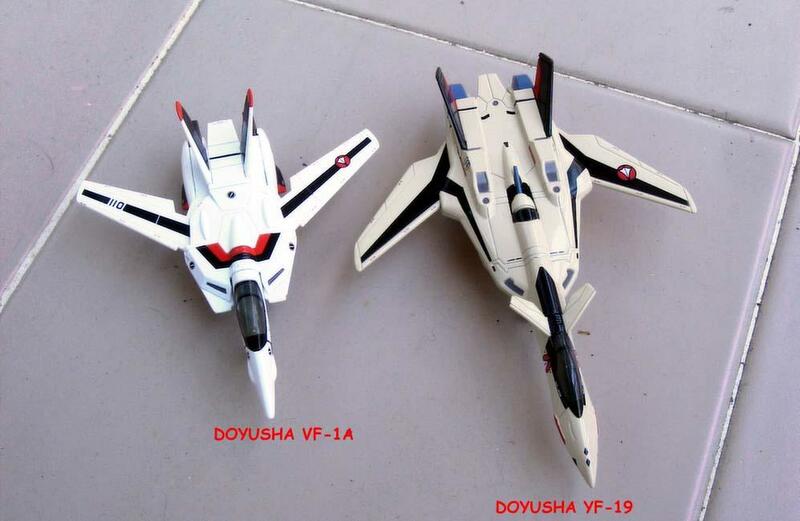 The YF-19 is 5 inches / 13cm long, which makes it quite a bit larger than Doyusha's 1/144 VF-1 toys. 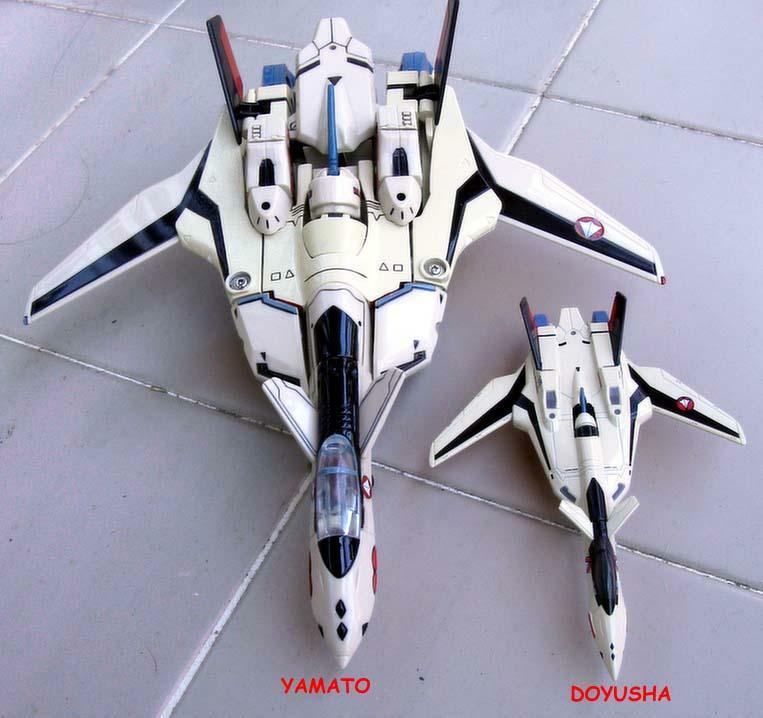 This of course is normal, as the YF-19 is a much bigger plane than the VF-1. 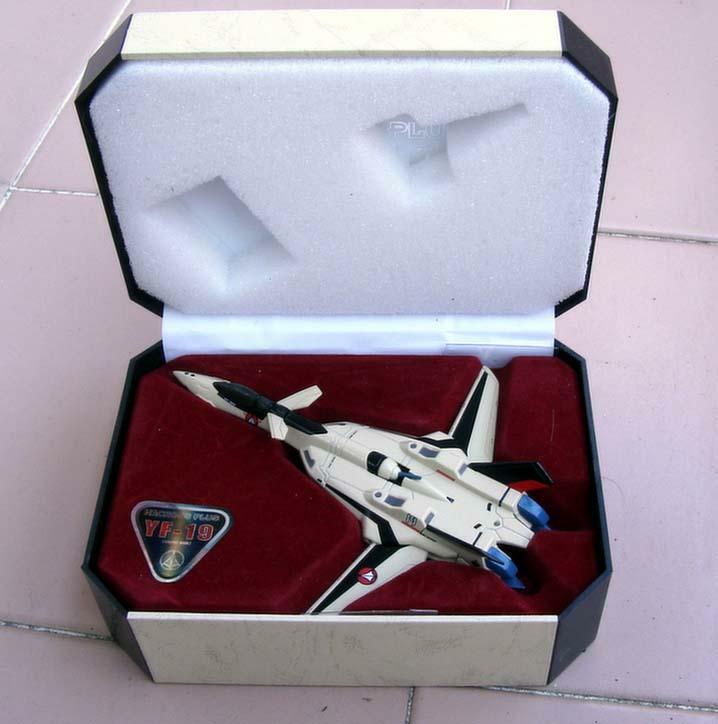 The YF-19 comes in the same type of high quality jewellery type case as Doyusha's earlier VF-1A and VF-1S toys. 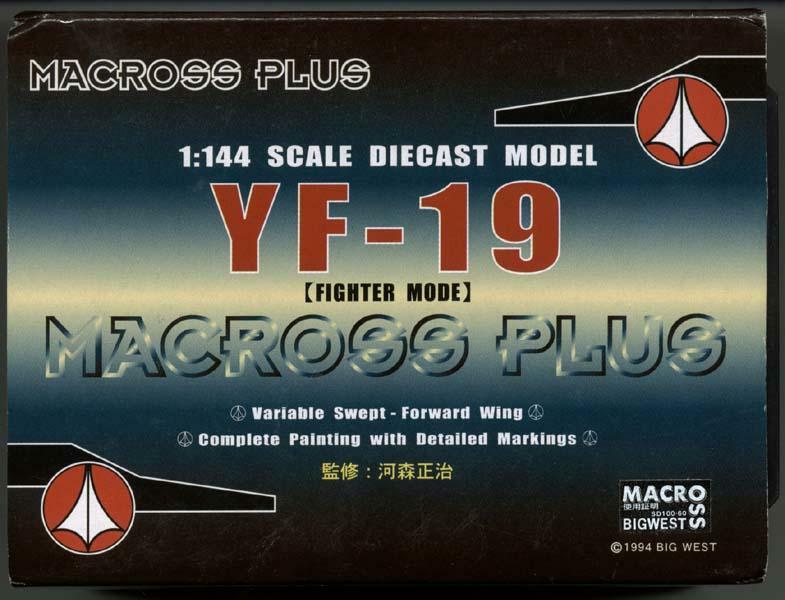 The only moving parts on the YF-19 are the variable geometry wings which can be moved from the full forward position to the completely swept back high-speed position featured in Macross Plus (and any position in-between). 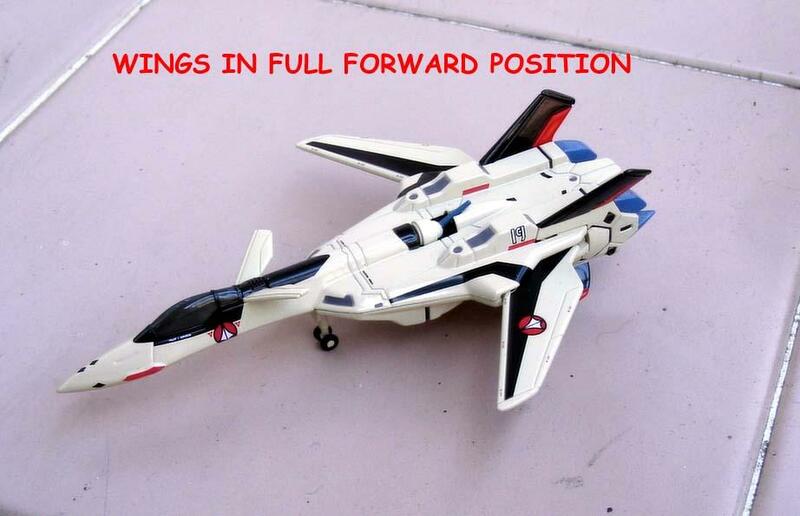 The YF-19 is completely die-cast except for the landing gear, gunpod and canopy. 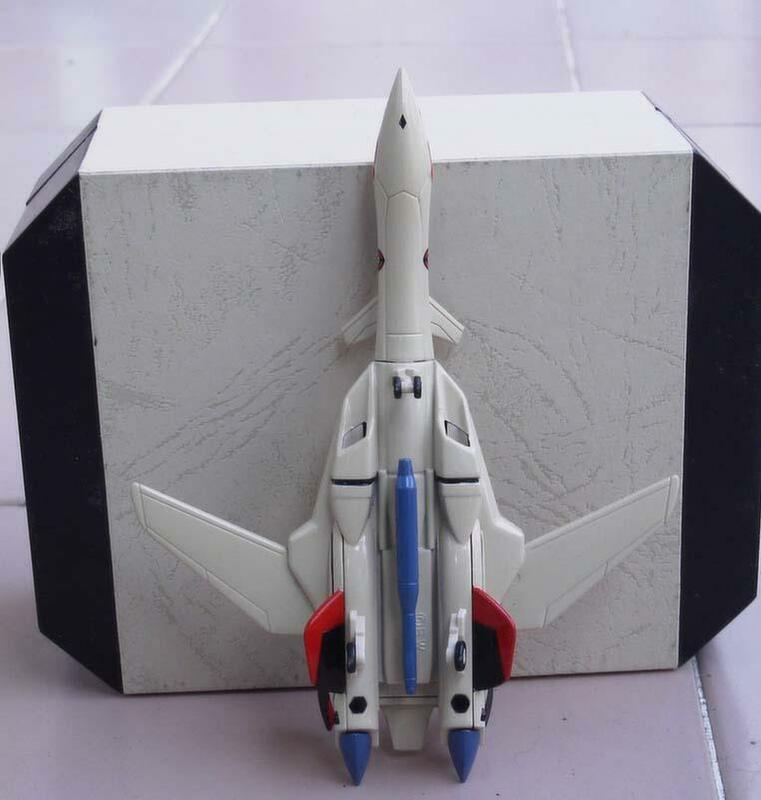 Unlike Doyusha's VF-1, the landing gear on the YF-19 is not removable (at least it wasn't on my sample). 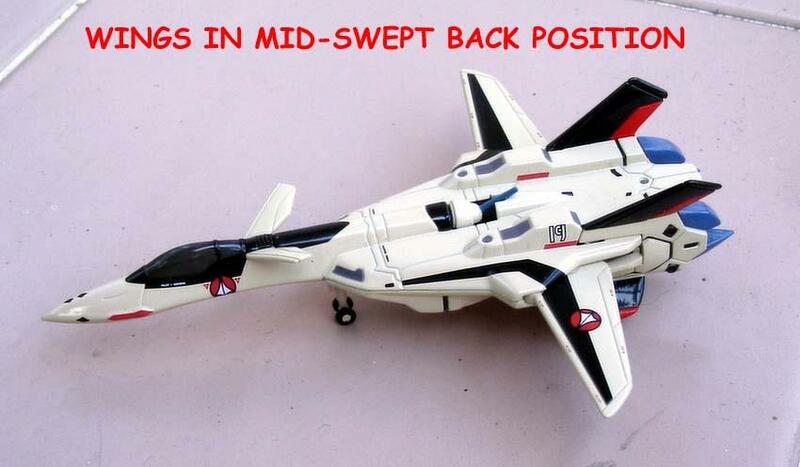 This is a pity as I would like to fly the toy around my house without the landing gear! 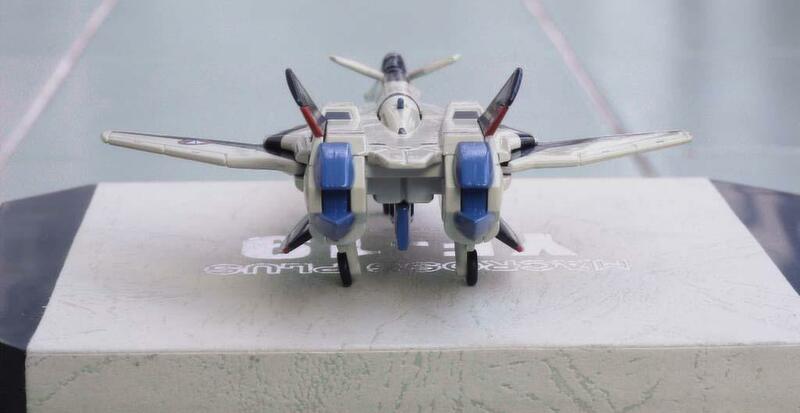 The canopy is also removable, although I'm not sure if it is supposed to be! 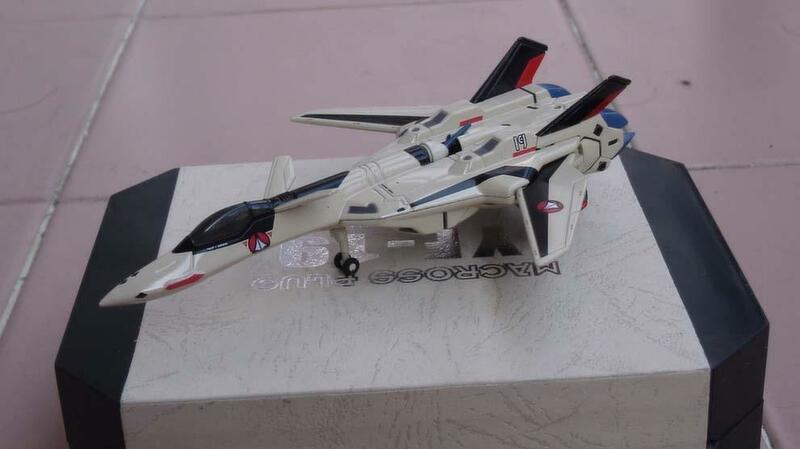 The paint job on the YF-19 was excellent with no flaws. 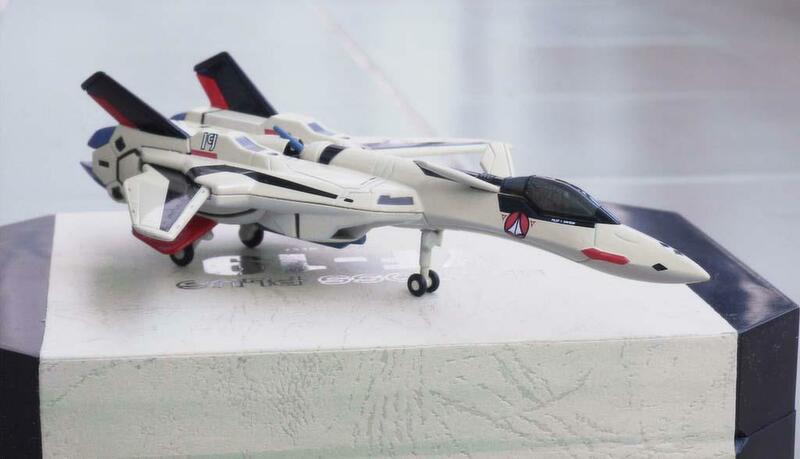 Likewise the tampo printed details were also very well done, although the printing of the red hybrid sensor on the nose was ever so slightly out of position, although this is only really noticable if you look closely. 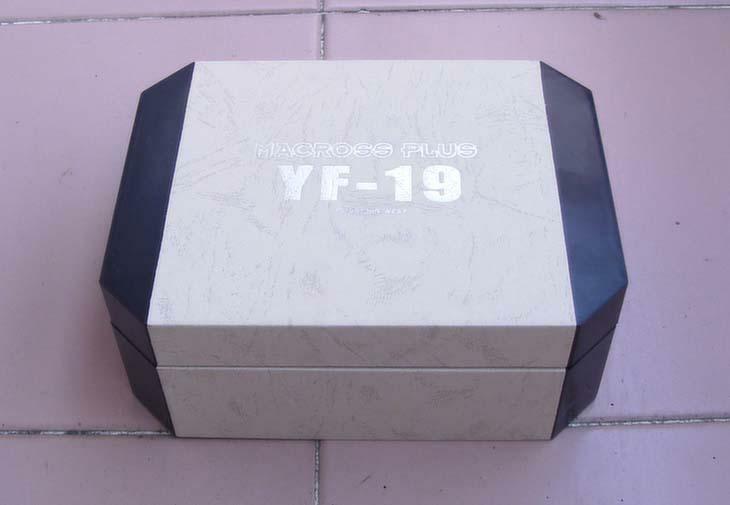 The YF-19 retails for Â¥2,980 and is available from Hobby Link Japan www.hlj.com . 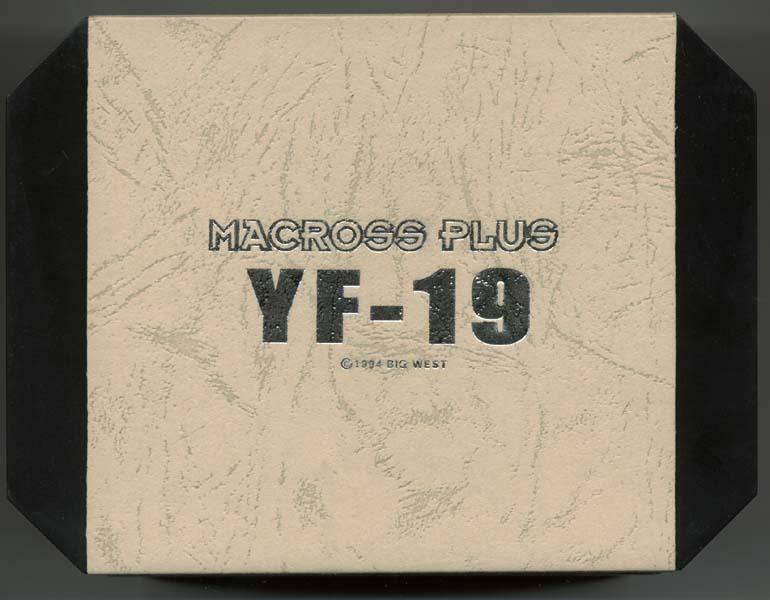 The next Macross toy from Doyusha will be the VF-1J to be released soon. 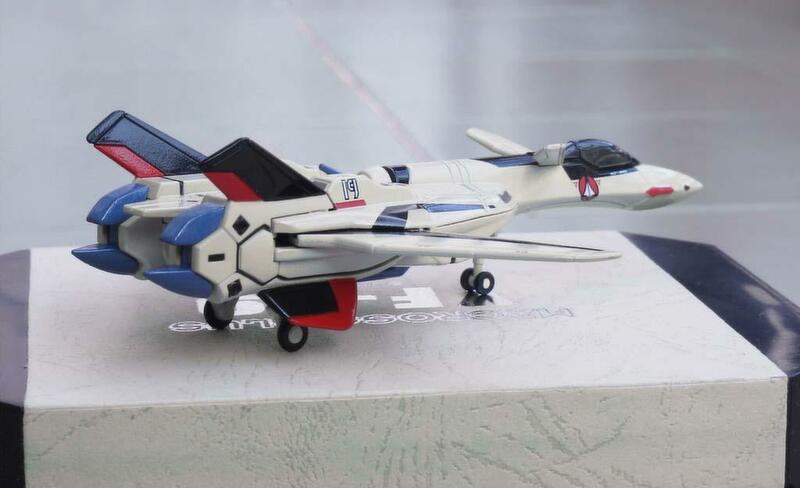 I certainly hope that we see Doyusha continuing with more toys in this line.